Malaysian Tan Teng Teng grew up with her grandparents and often times hung out with seniors she barely knew during her morning workouts in the park. She never knew that she would one day be focusing her attention on them and how they could spend more time with their grandchildren. What spurred you on to come up with the idea of The Gran’ Date? The UP Singapore team – Tan Teng Teng is at the far left. I left my engineering job in 2011 as I was keen to start a social enterprise as I wanted contribute meaningfully to society. I think my growing environment and my circle of friends have spurred me on to come out with the idea related to the elderly. The idea sparked when I joined a social enterprise forum in June 2012 in search of an idea on how I could incorporate social elements into my initial business idea, which was on travelling. It just so happened that I joined the UP Singapore competition end of June 2012 and I had the opportunity to pitch the idea on The Gran’ Date. What is your motivation to do this social enterprise? I believe in having a meaningful life to do good to people and society. So when I decided to have my own business, I wanted my business to bring about social impact. What keeps me going is my initiative can benefit many elderly and bring the message to the younger generation to care more about the elderly. Tell me more about the app and what it can do? The app acts as a one-stop portal, which provides all the resources and information needed to plan a day out with your grandparents. The portal provides things like healthy dining choices, multi-generational activities and places to visit with exclusive discounts for seniors, and age-friendly information. We provide services to elderly across all functional status. The recommendations are provided based on the user profile and preference of the senior, for example the physical conditions of the person, the intensity level of activity, ambience of the places and many other settings. The benefits of the recommended location are summarised with the accessibility friendliness level of the place based on its age-friendly features, such as accessible lift, accessible public toilet, resting area, and availability of alighting and boarding bays. The information of age-friendly features is especially important for elderly so they can travel safely and comfortably. The app also allows for redemptions and encourages social media interaction through the photo and ‘Grand Story’ sharing. 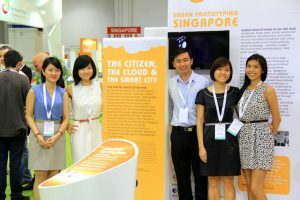 This app is designed to help promote active interests through intergenerational bonding and motivate the younger generation to provide for Singapore’s ageing population. But technically you are not the one in the end doing the planning right? We will connect the organiser to the user in our early launch and we have plans to be involved in organising the event/activity in the future. What are your thoughts about age-friendly facilities? Do you feel there needs to be more done in this area? An accessible elderly-friendly environment provides the seniors not only with a conductive surrounding to age-in-place, but also the independence to resume their community and private activities. An implemented code by Building & Construction Authority (BCA) ensures that all buildings constructed after 1990 are equipped with barrier-free features. Developers and architects have been urged to adopt the concept of “universal design” but much more needs to be done to mitigate the inter-connectivity issues between new establishments and existing buildings. In order to achieve a society with complete barrier-free accessibility, public-private-people efforts are very important towards this objective. Can you share about your team members involved in the project? There were four people in my UP Singapore team. Two have already left for overseas studies. Another two teammates are currently holding full-time jobs and only partly involved with me to refine the app after the UP Singapore competition. I have been looking for potential candidates to join The Gran’ Date team and found three new members recently. Teng Teng shared, "In today’s world, due to school or work schedules, grandchildren sometimes find it hard to spend time together with their grandparents." How are you sourcing for the information going into your portal? We get the building accessibility friendliness information from BCA and the map/building blueprint is available on the Web. We also use the crowd-sourced date to identify suitable venues and activities catering to the older generation. Do you feel grandchildren are not spending enough time with grandparents? What about you personally? In today’s world, due to school or work schedules, grandchildren sometimes find it hard to spend time together with their grandparents. Multi-generation gaps (language and different thinking) may be other factors. I grew up and lived with my grandparents until I left for university in Kuala Lumpur. My grandfather had already passed away and my 80+ year-old grandmother currently lives in Johor. Even though I am not able to meet my grandmother every day, I will visit her every time I go back to Malaysia. I pay her a visit at least once or twice a month and spend around half a day with her. Your app is targeted to the grandchildren than the grandparents, right? Why is that? This app is targeted to adults (16 to 45 years old) to plan the outing for their elderly relatives. Young people should play an active role in taking care and planning the outing to serve their elders’ needs. They are also more tech-savvy and tend to plan their outing/travel using digital tools like mobile and the Internet. But we believe in the coming years, the app will be widely used by seniors who are becoming more and more tech-savvy and connected to the digital world. I understand you won first place in the UP Singapore competition with an app. How much did you win? There is no actual cash we received for our prize. But the organiser of UP Singapore, Newton Circus has connected us to potential funding and grant information to further develop the project. I would like to make this idea realistic by further developing it and launching it into the Singapore market, and then other countries. When will you be launching the portal and/or the app? Getting the funding/grant usually take months and while waiting for the funding, we are working to launch our first version of the portal in the coming three to four months. Can you share where your funding is coming from? We are still in the process of settling this and we don’t know yet which grant/fund we will be getting for the project. How many members do you hope to get by end of the year? Following the launch in early 2013, we expect to have approximately 10,000 members by the end of that year. What are some challenges you are currently facing with your project? Previously, I am facing a problem of getting suitable people to join my team. Actually it is not hard to get somebody to work on this project but it takes time to find a person who is like-minded, passionate and would devote his/her time to a social project like The Gran’ Date. The challenge we are also facing is how to come up with an innovative way to reach out to the younger generation to sign up for The Gran’ Date. Where do you see yourself in five years with The Gran’Date? The true meaning behind this project is to deliver the message to the society that we need to CARE more for the elderly. 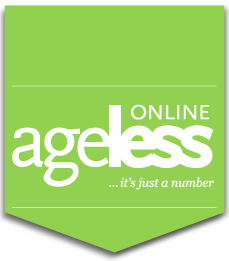 The Gran’ Date is the first online portal that is specially designed to cater for the elderly to have days out. We created a platform that bridges the public, private and people sectors to cater to activities for seniors and implicitly create an elderly-friendly environment that allows the older person to visit places and engage in activities within the community. We hope to eventually empower the older generation to promote and organise activities and events themselves by sharing and using the media platform.